This morning my 97 year old great grandmother passed away. She was a woman who can be seen as a role model. She was a straight shooter, opinionated, full of common sense and sharp till her last days. She will be admired & missed! I wrote this blog post a little less than a year ago about my great-grandma. 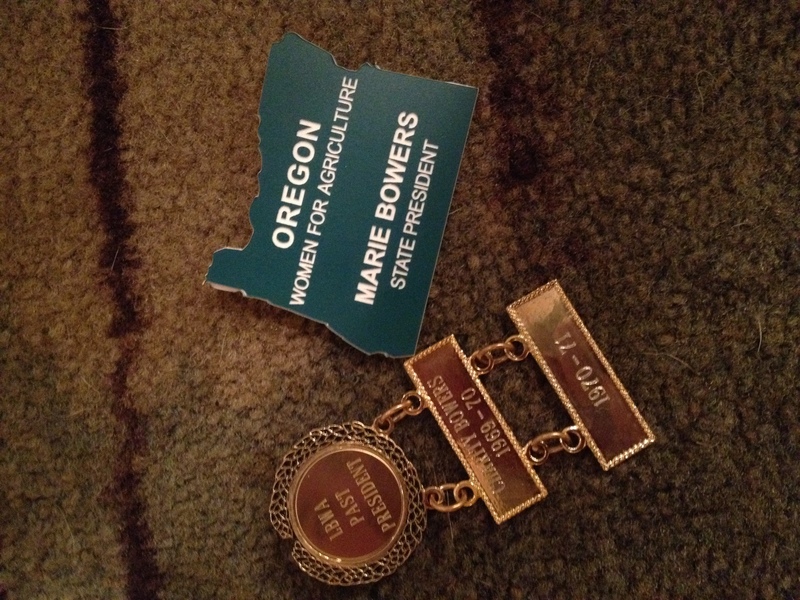 Forty-three years ago, in 1969, a group of unstoppable women formed Oregon Women for Agriculture (OWA), one of them being my Great-Grandma Charity. As she describes it, she received a phone call from Mary Holzapfel saying women were coming to her house to discuss what they could do to fight & educate the people who wished to end field burning. A practice that is vital to producing quality grass seed. The women realized they had to do it because the men were to busy in the fields that time of year to do much. As they organized no one was stepping up to be president so my great-grandma did. (Note Charity Bowers was the first president of the Linn/Benton Chapter. Mary Holzapfel was the first state president.) My great-grandma Charity is one of the best women I know. She is 96 years old and still remembers, in detail, going over the Santiam Pass in a wagon in the early 1920′s at seven years old so her dad could farm the land we still farm. One of the original rocking rural women! On Saturday, my grandparents drove my Great Grandma nearly two hours to come see me installed as president of Oregon Women for Agriculture. I was so excited to see her there, so were her friends and so was she! Women of all ages still actively participate in OWA. During my installation my mom surprised me and caught me off guard. 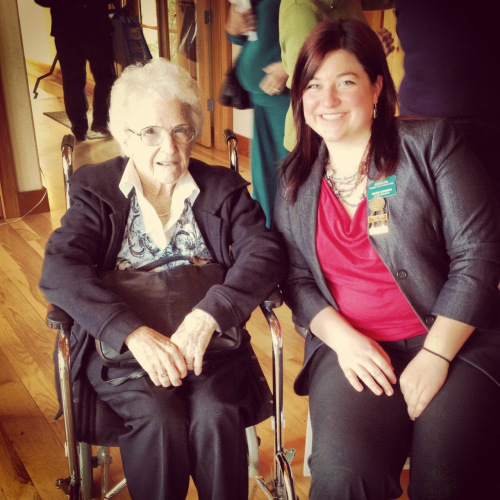 She presented me with my Great-grandma Charity’s past president pin. I shed some tears, not an easy thing for me to do. I believe I have the same passion that group of women shared back in 1969 when founding Oregon Women for Agriculture: we need communicate our story of today’s agriculture so that we can protect our livelihood! Next: Next post: Linn-Benton Chapter Wins 1st Place!